Working all hours including evenings and weekends. Putting all your energy into other people’s businesses. Client emergencies cropping up when you least expect it. Getting emails and phone calls during your time off despite your best efforts to be “out of office”. The constant juggle of working in your business, on your business and on other people’s businesses. Having to work twice as hard to be able to take a week off, to come back and have to do the same. Which leaves you feeling like you need another holiday! I launched my web agency in January 2015 and despite outsourcing and delegating, tasks always seemed to find their way back to me and I found that many things within my business I simply couldn’t offload. It’s no surprise that by the end of my first year in business I was burnt out and unhappy. I was unsure of how to grow my business, because I wanted the freedom and flexibility to work when I wanted – I knew my agency would take years to get the stage that I could take more time off. So I decided to start replacing some of my income with sales of products instead. And I will never forget that moment I got my first sale – a £49 training product and over the course of the next 5 days I generated £2000 in sales. I couldn’t believe it. It took me a couple of weeks to generate the same profit completing projects. This had only taken me 1 day. What I loved is how both you and your customers win. They were able to learn the skills I would normally charge far more to do for them. With digital products you get paid well as well as getting back your time – and that is the key to your future success. Getting time back means you have more time to take care of yourself, your loved ones, your business growth AND improving your products. Its a self-perpetuating cycle of success. More time equals more success, and more time and so on! I realised after those first sales that products were going to give me the freedom and fulfilment that I was craving. From that 1 product I’ve gone on to create over 25 digital products, generating well over 6 figures in revenue in 12 months and at the beginning of this year made my transition from projects to products. I no longer have clients, I no longer work on projects and I’ve even gone on to win an award for my e-learning business – plus I’ve never been happier. Every day I get to wake up and work on whatever I want. I get to take spontaneous time off, and when I come back I don’t have to work double the hours to catch up. And importantly when I’m not working, I’m not thinking about work – which means I can be more present with my family. If you run a client business, you’ll know you never truly switch off – and that can sometimes, despite your BEST efforts, spill over into your personal life. You don’t need to be an expert in your subject, because by creating valuable products you are going to be become the expert as a result. You only need to look on Amazon, Etsy, Udemy, Lynda.com, CreativeLive and Skillshare to see that all kinds of skills are now being turned into products! You don’t need to use expensive tools / designers to create your products. To this day I still use almost entirely free tools. You don’t need to have a huge email list, you use digital products to CREATE your list. You don’t even need to be tech savvy – the process is actually far easier than you think. What is Savvy Saturday all about? 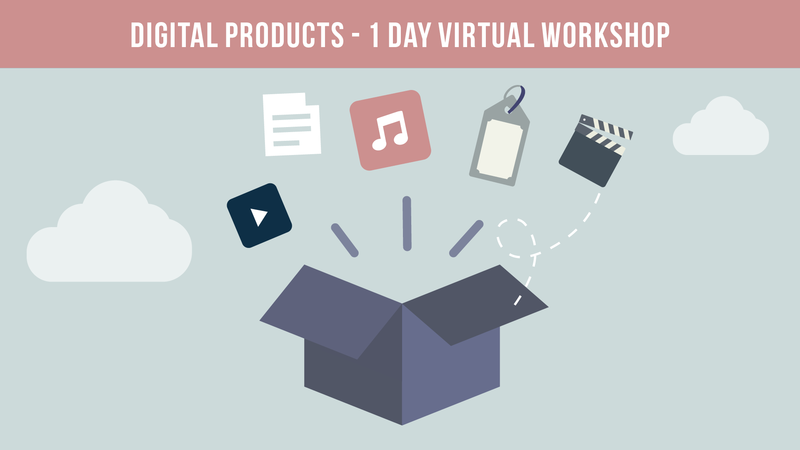 Savvy Saturday is 1 day virtual workshop taking place on Saturday 22nd April, and in that workshop I’m going to take you through all the steps of creating and selling digital products. Don’t worry if you can’t make it live, all students will get the recordings too so you have something to go back and watch again and again. And as this is virtual you can chill in your PJ’s in the comfort of your own home! This is for people who are just thinking about creating products. So if you have a tonne of ideas but haven’t found the time to get started, or the right training, then this is the perfect event for you. The way that the event works is that you sign up on the button below, and in the week before the event I’m going to email you a workbook with a couple of hours prep work to do before the event. 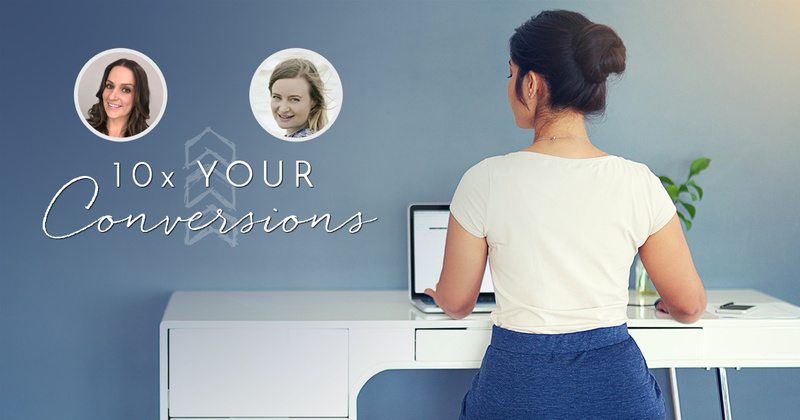 On the day, you’ll just click on the link I send you to the virtual classroom and there’ll be 9 sessions throughout the day with plenty of breaks in-between and Q&A sessions to help you with your individual challenges. PLUS you’ll get access to a private members group for 2 weeks after the event so you can share your work and get my feedback on it. And student of the day will win a voucher worth £499 to spend on my live events, products & programs. This will be judged on interaction throughout the class and sharing support for your fellow students in the student group. You don’t have to get things RIGHT, you just need to take part! By the end of the virtual event, you're going to have all the ideas, tools, strategies and tactics to create your own digital products and a plan to go away and make it happen. And plenty of time to get individual support as I’ve capped the event at 30 students. You don’t need to buy any tools to take part, as I’ll be showing you ways to create your product for free and I’ll break everything down into super simple, actionable steps. But tickets are selling fast and I won’t be hosting this event again for a while as there are other subjects my community want featured. So if you want to stop trading your time for money, build an incredible reach for your brand and serve your customers in a way that you BOTH win – then don’t miss out. I am so excited to be hosting this event and to help you move forward on your journey to building a far more profitable AND enjoyable business!